Quantum bits based on single-electron spins, also known as spin qubits, are one of the most promising candidates for the development of a quantum computer. Experiments in several laboratories worldwide have shown that metal oxide semiconductor (MOS) based silicon quantum dots (QDs) have proven to be an excellent medium to achieve highly coherent and stable single spin qubits. Building on these successes, a team of physicists and electrical engineers at Institut quantique have invented and demonstrated a new concept called the “split accumulation gates.” This invention has achieved ideal MOS quantum dots for qubit application. A challenge in moving this novel approach towards large-scale multi-qubit devices is the need for very high-yield, nanometer-scale MOS fabrication processes. Thanks to the joint laboratory established with the Centre National de la Recherche Scientifique – Unité Mixte Internationale – Laboratoire des Nanotechnologies & Nanosystèmes (LN2-CNRS UMI-3463) and STMicroelectronics, the IQ team overcame this hurdle thanks to access to UMI-LN2’s partner proprietary FD-SOI technology. 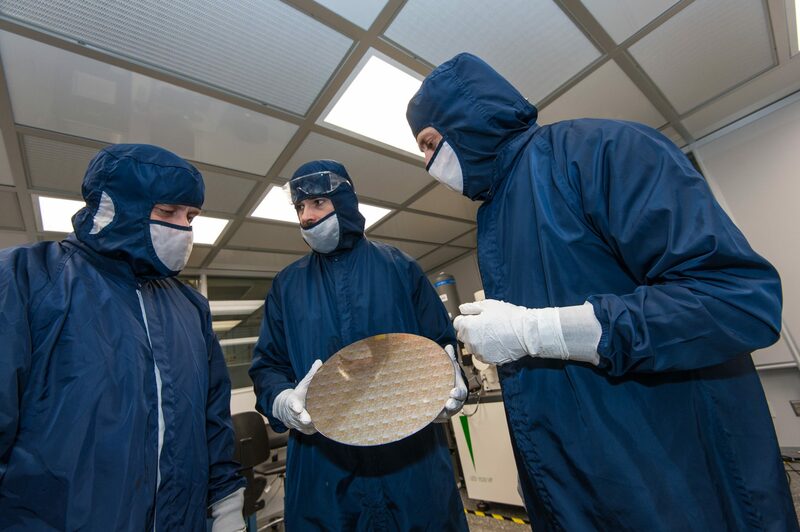 This facility promises to deliver outstanding qubit performance, based on its low parasitic capacitance and high conductivity metal gates, and on the extremely low electron leakage between the QDs and other components.